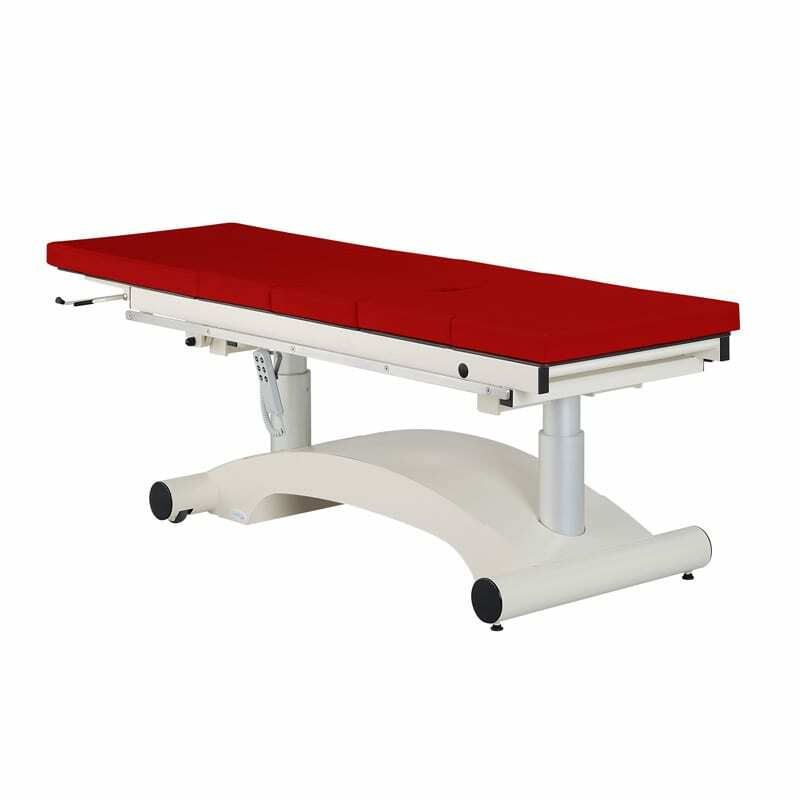 With the plaster room table, the CARINA Medical treatment table is ideal for applying bandages. 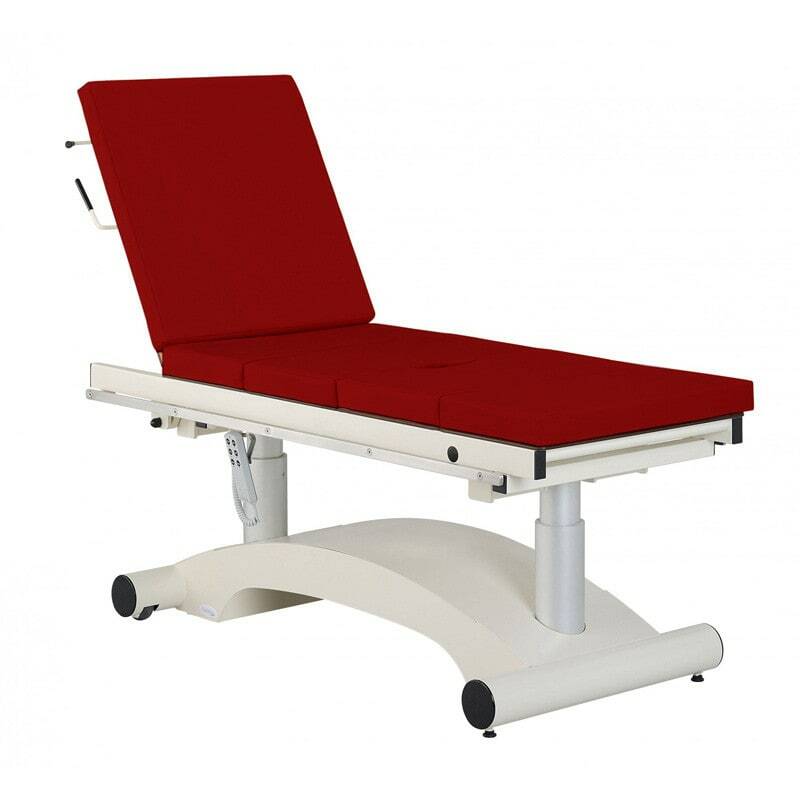 For plaster, cast, supporting and wound bandages: thanks to the removable padded sections in the middle of the table top, the patient can be comfortably settled while you apply the bandage in peace. 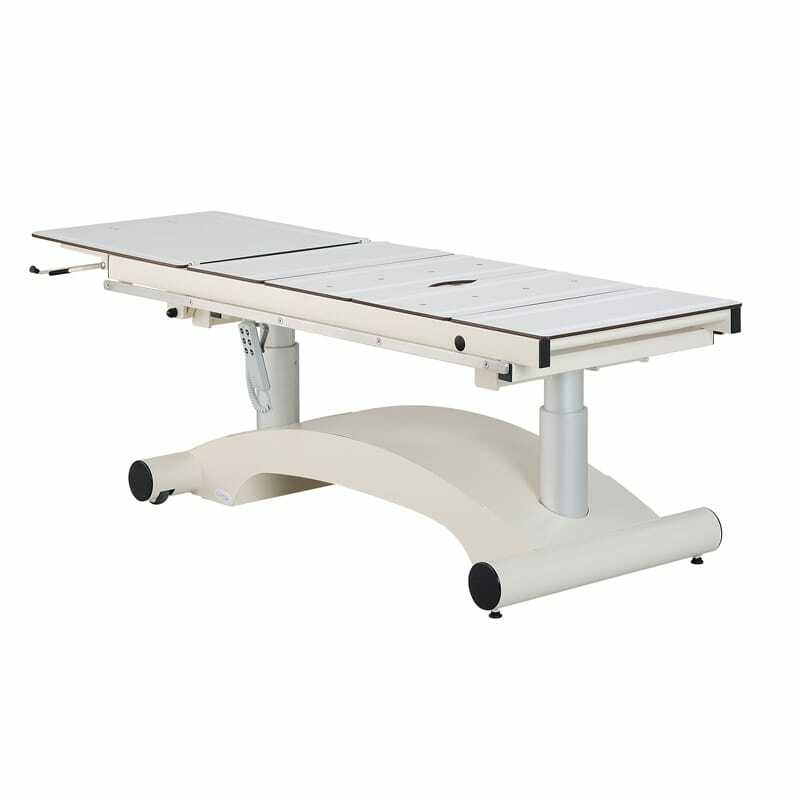 Each padded section of the 4-part table top measures 65 x 33 cm; the adjustable headrest measures 68 x 65 cm. 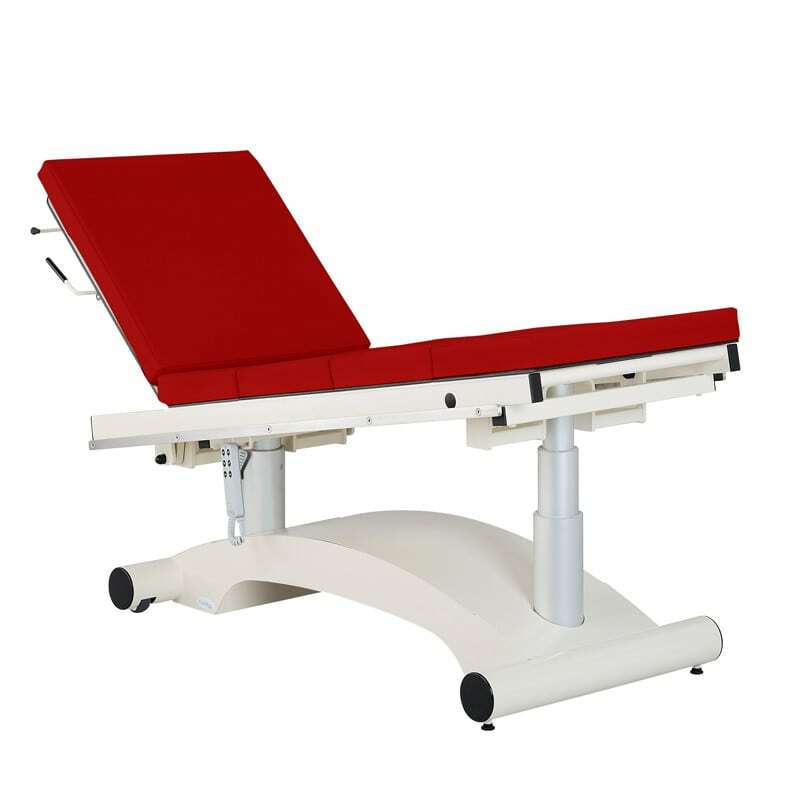 The height of the plaster room table can be adjusted from 49 - 89 cm by means of a manual control or foot pedal. 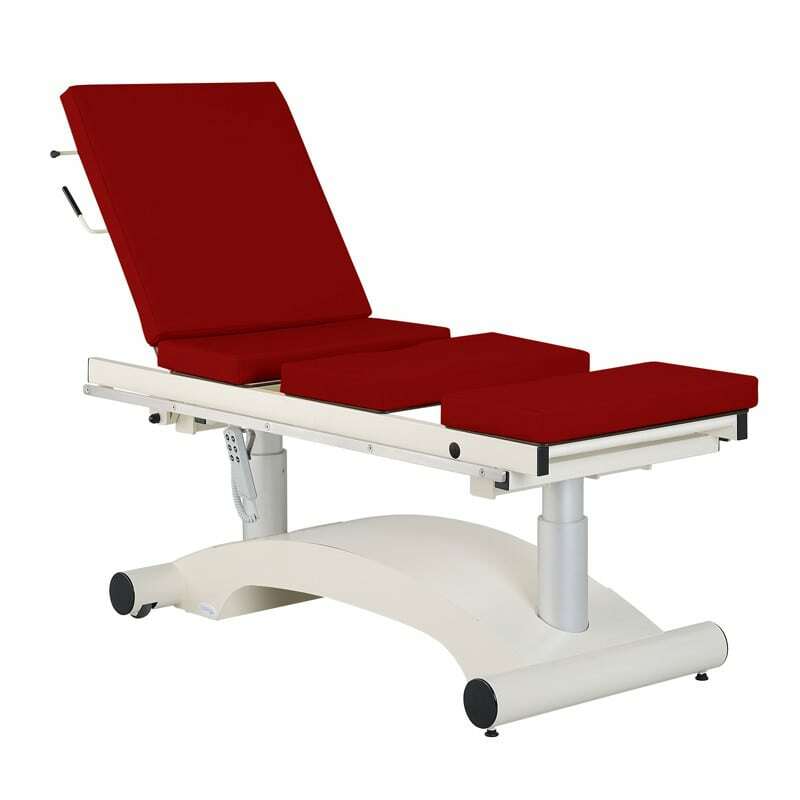 The products from Carina are available in a particularly wide range of colours. 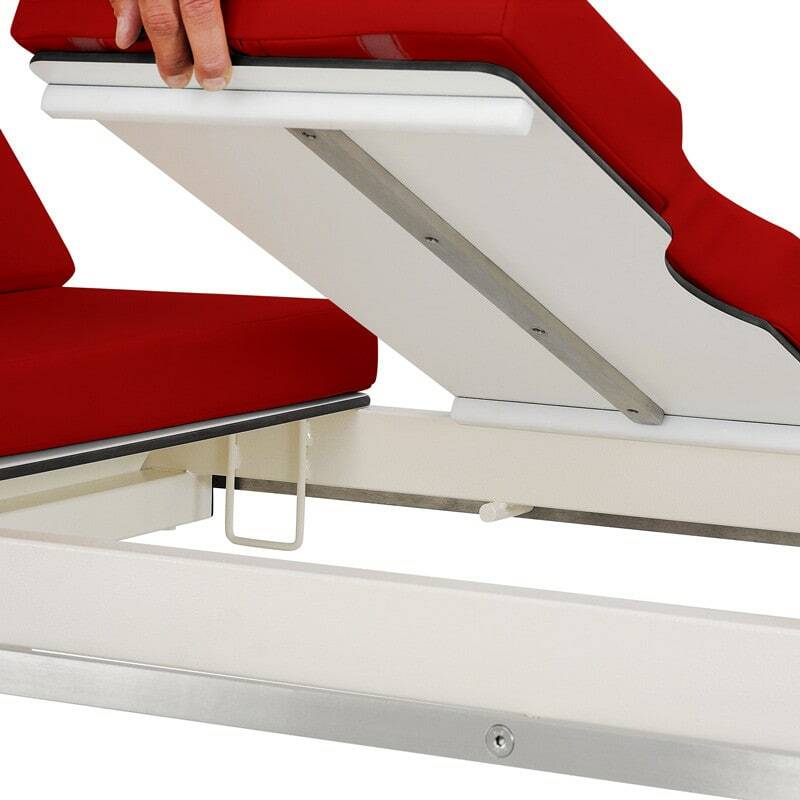 Carina offers two basic colour systems that differ in appearance and price. The modern urban variations can be found in a clearly arranged colour table next to the more affordable standard colours. 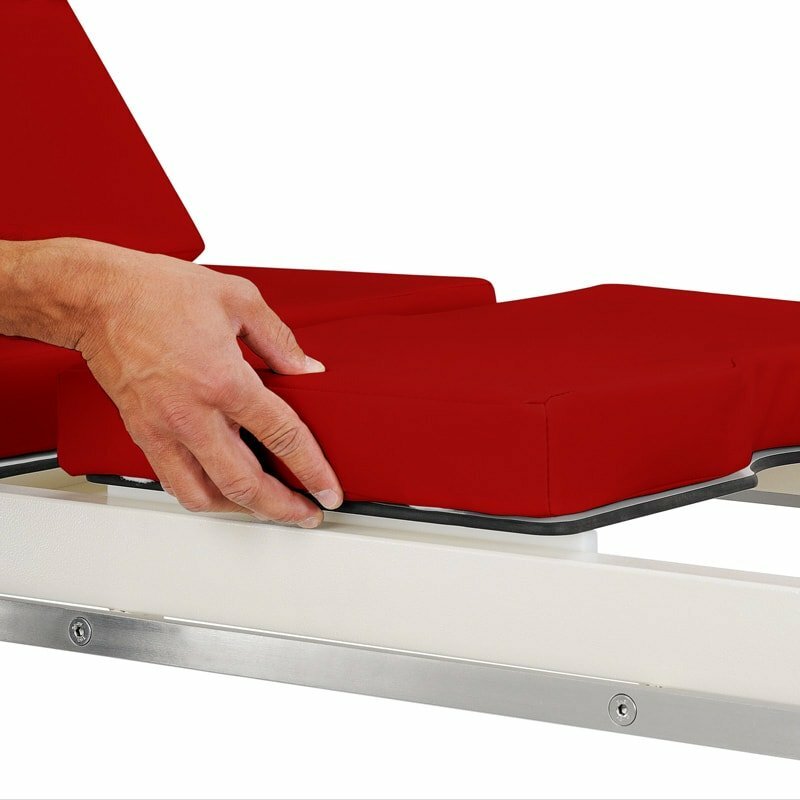 If you would like a colour that is different than those displayed, please inform us with a message when placing your order or contact our customer service.